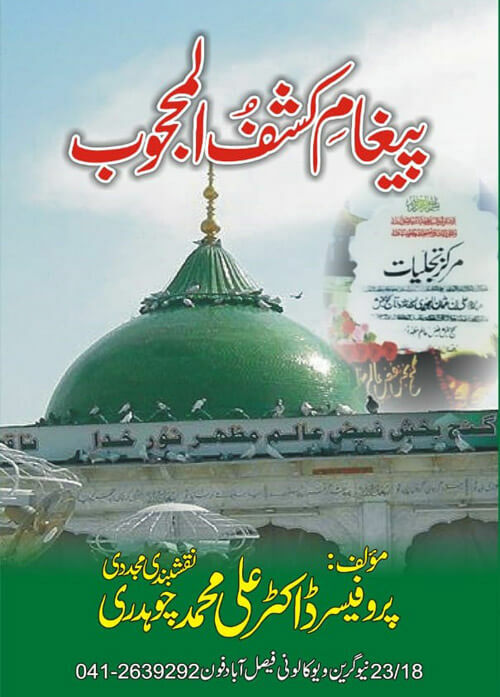 Most of the branches which stem from the Naqshbandi order today, such as the Mujaddidi, Saifi, Tahiri and Qasimiya branches, trace their spiritual lineage through Sheikh Sirhindi, often referring to themselves as "Naqshbandi Mujaddidi" due to this connection. 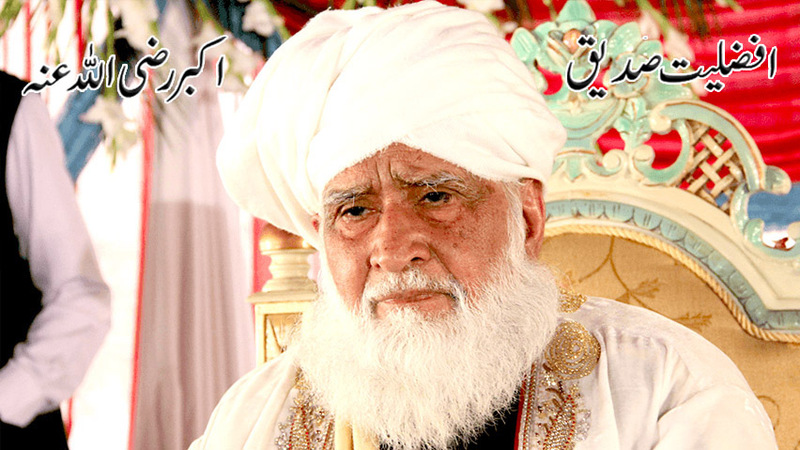 He is also a descendant of the noble Companion and second Khalifa of Islam, Hazrat Sayyidina Umar Farooq [R.A]. 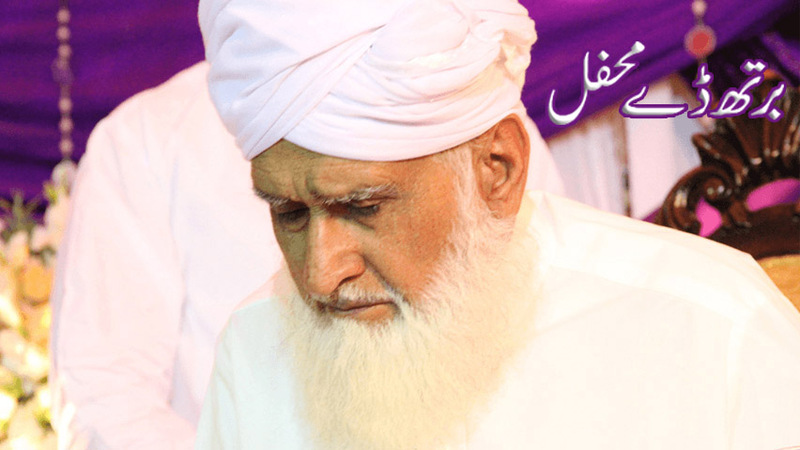 Sheikh Ahmad Sirhindi was born after midnight, on 14 Shawwal 971 in the village of Sirhind, near the city of Chandigarh in present-day India. His mother relates, "After the birth of my son Ahmad, I fell unconscious whereupon I had a vision, and saw that my home was full of Awliya Allah (Saints) who were all congratulating me on the birth of my son". His father relates, "On the day of the birth of my son, I had a vision in which I saw Allah's Messenger (s.a.w) reciting first the Azan and then the Takbir in the ears of my son." Being born into a pious family descending from Sayyidina Umar Farooq, he received most of his early education from his father, Sheikh Abdul Ahad. 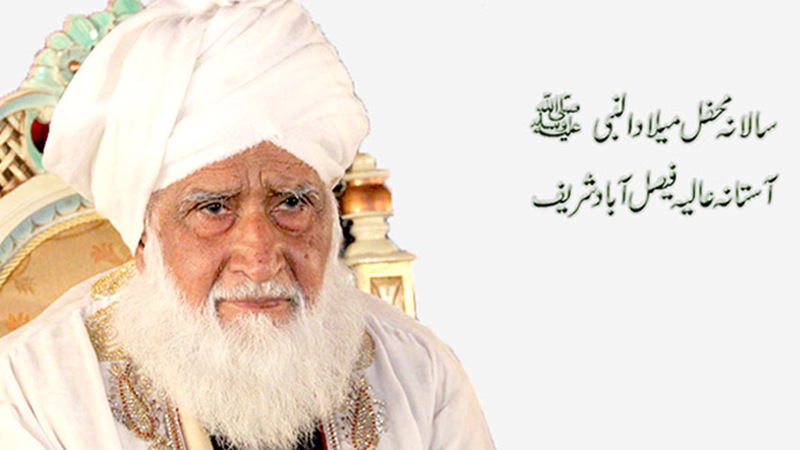 He memorised the Qur'an thus becoming a Hafiz, and then was then sent to Sialkot in Pakistan, where he learned logic, philosophy and theology, also studying advanced texts of Tafsir and Hadith before he returned home. At a young age, Sheikh Sirhindi had also made rapid progress in the Suharwardiya, Qadriya, and Chishtiya orders of Sufism, and was given permission to initiate and train followers at the age of 17. While busy spreading the teachings of these Tariqas, he felt a void within himself and continuously searched to fulfil it. He then found an interest in the Naqshbandi order, as he saw through the secrets of the other three Tariqas that it was, in reality, the best and most favourable. In his words, the Naqshbandi Tariqa is "the mother of all Tariqas." His spiritual progress eventually brought him into the presence of the Ghaws and Qutb of his time, Sheikh Mohammad Baqi. Through the guidance and supervision of this great Saint, Sheikh Sirhindi progressed up the spiritual ladder and soon became a Master of this order, his mystical insight and piety inspiring all those who learnt from him. One proof of the Sheikh's steadfastness on the Haqq is as follows. When the emperor Jahangir came to the throne, his wife, who held Shia beliefs, influenced him strongly and many of the people around him, including some advisors, were Rafidhites. Without any fear or worry, Sheikh Sirhind wrote books and articles that refuted their beliefs. It wasn't long before these people became his enemies, and began to tell the emperor, 'This Sheikh is very dangerous. His beliefs are corrupt, and he is against you and will not bow down before you." Eventually, the emperor commanded that the Sheikh be imprisoned in Gwalior Fort for an unlimited period. A great miracle is reported by his son, Sheikh Sayyid, who says, "He was under very intense security in jail, where guards surrounded his room on every side. Yet every Friday, he would be seen in the mosque. No matter how much security he was under, he would disappear from prison and miraculously appear in the mosque." The Sheikh's state of patience and gratitude was such that he never wished ill upon his enemies, nor did he allow his family and followers to do so. Many thousands of prisoners in Gwalior Fort embraced Islam at the hand of the Sheikh, and a very many of these took Bayt (pledge of allegiance) at his hands, attaining high stages of Wilayat (sainthood) as a result of his company. The Sheikh would say, "If the Emperor had not imprisoned me, so many thousands of people would have been deprived of the Light of Islam." This imprisonment allowed him to fulfil the Sunnah of Prophet Yusuf, as he endured the hardships of captivity with the utmost patience. The Sheikh wrote to his family and friends from the prison, saying, "Although hardship is indeed distasteful, it is a blessing. Praise Allah and do not spend even a moment in neglect. Always be busy in one of three things; the first is recital of Qur'an, the second is Salaah, and the third, abundance of Zikrullah (Remembrance of Allah). Always be pleased with whatever state Allah has given you. Pray that Allah gathers us all in Paradise, and that our meeting each other in this Duniya is for the Aakhirah itself." Despite all the hardship suffered by the Sheikh in prison, the emperor noticed that he was unmoved from his original stance. In addition, the Karamat (miracle) of the Sheikh had come to the emperor's notice, in that thousands of thieves and bandits had attained guidance and become pious people through the company of the Sheikh. It was at this point that the emperor began to regret imprisoning the Sheikh. Around this time, the Emperor Jahangir had a dream in which he saw Sayyidina Rasulallah (s.a.w) saying, "O Jahangir, you have imprisoned a very great person!" After this dream, the emperor Jahangir sorely regretted his actions and demanded the immediate release of the Sheikh. The Sheikh was brought to the Emperor, who apologized and asked the Sheikh to forgive him. The emperor now began to treat the Sheikh with the utmost respect and would even serve him himself. Indeed, his love for the Sheikh increased so much that Jahangir would find absence from the Sheikh unbearable. Shah Jahan was also amongst the Mureeds of the Sheikh, and other members of the ruling group, including scholars and ministers, continued to join the Silsila Mujaddidia right up to and including the reign of Alamgir Aurangzeb. "The Shariah has three parts: knowledge, action, and sincerity of motive (ikhlas); unless you fulfil the demands of all these parts, you do not obey the Shariah. And when you obey the Shariah, you obtain the Pleasure of God, which is the most supreme good in this world and the Hereafter. The Qur'an says, "The Pleasure of God is the highest good." Hence, the Shariah comprehends all the good of this world and the next, and nothing is left out for which one has to go beyond the Shariah. 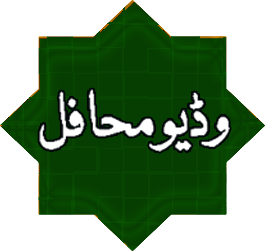 The Tariqa [Order] and the Haqiqa [Reality] for which the Sufis are known, are subservient to the Shariah, as they help to realize its third part namely, sincerity (ikhlas). Hence they are sought in order to fulfil the Shariah, not to achieve something beyond the Shariah. The raptures and ecstasies which the Sufis experience, and the ideas and truths which come to them in the course of their journey, are not the goal of Sufism. They are rather myths and fancies on which the children of Sufism are fed. One has to pass over them all and reach the stage of satisfaction (Raza) which is the final goal of ‘Suluk’ [travelling, i.e. the Sufi path] and ‘Jazba’ [overwhelming love]." Though he wrote many books, the most famous of his works are a collection of 536 letters, collectively entitled Collected Letters or Maktubat. These letters were addressed to the Mughal rulers of his time and other contemporaries and they were compiled during his lifetime. 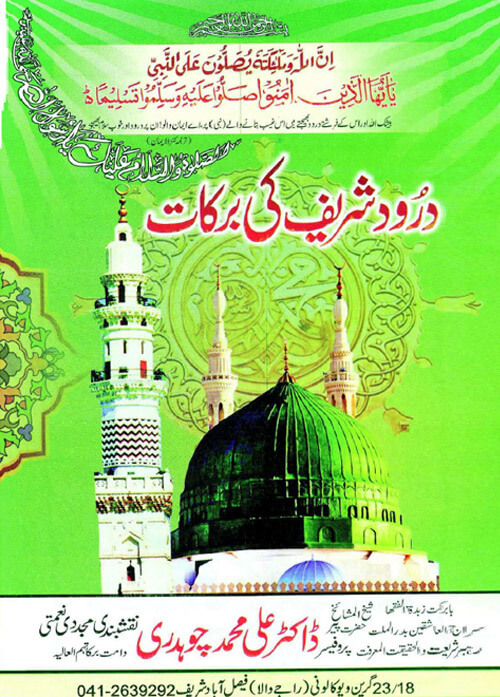 Volume 1 - contains 313 letters, and was compiled by Khwaja Yaar Mohammad Badakhshi Talqani, a Mureed of Sheikh Ahmad Sirhindi. The volume was named Durr al-Ma'rifat and was completed in 1025 AH. Sheikh Sirhind ordered that it end at 313 letters, 313 being a sacred number [a significant figure in Islam, as there was 313 Muslim soldiers in the famous battle of Badr, in which the Muslims were victorious]. Volume 2 - was named as Noor al-Khallaq and contains 99 letters. 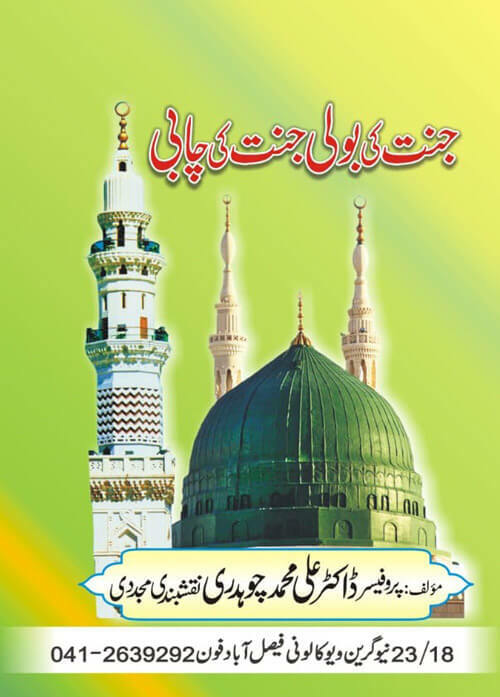 It was compiled by Khwaja Abdul Hayy. 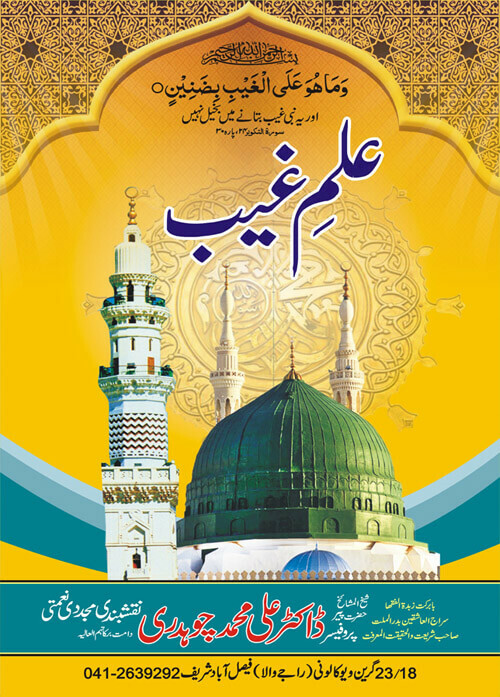 Volume 3 - was compiled by Khwaja Mohammad Hashim Kashmi and contains 124 letters. The volume was named Ma'rifat al-Haqa'iq. - Once, a great Sheikh wrote to him asking, "The states which you reached and are speaking about, did the Sahaba receive them, and if they did, did they receive them at one time or did they receive them at separate times?" He answered, "I cannot give you an answer unless you come into my presence." When the Sheikh went to him, he immediately unveiled to him his spiritual reality and cleansed the darkness of his heart. The Sheikh fell prostrate at his feet from the strength of such Light, and said, "I believe, I believe! 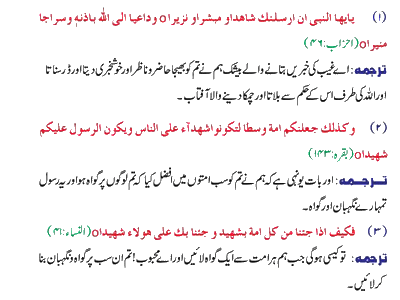 I see now that these states were all revealed to the Sahaba simply by looking at the Messenger (s.a.w)." - One time in the month of fasting, Ramadan, he was invited by ten of his Mureeds to break fast with them. He accepted the invitation of each of them. When the time came to break the fast, he was present at each of their houses, breaking the fast, and they saw him in each of their houses at the same time. - Once, he looked at the sky and it was raining. He said, "O rain! Stop until such and such hour." It stopped until the exact time he had said, after which it started to rain again. - One day, the King ordered that a man be executed. That man came to Sheikh Ahmad Sirhind and said, "Please write a stay of execution for me." He wrote to the Sultan, "Don't execute this man." The Sultan, out of respect and fear for the Sheikh, pardoned the man. - One time, a Mureed made the intention to visit Sheikh Ahmad Sirhind. On his way, he was invited to be the guest of a man who disliked the Sheikh. The Mureed, however, didn't know this until after dinner, when the host began insulting the Sheikh. As the Mureed went to sleep later that night, in his heart he was saying, "O Allah, I came to visit the Sheikh, not to hear someone curse the Sheikh. Forgive me." Then he slept and when he awoke, he found that the man had died. He went quickly to the Sheikh and began to tell him the story. Sheikh Ahmad Sirhind raised his hand and said, "Stop! There is no need to tell me what happened. I am the one who caused it." - "It must be known that Allah has placed us under His Obligations and His Prohibitions. Allah said, 'Whatever the Prophet gave you, take it, and whatever he prohibited you, leave it.' [59:7] If we are going to be sincere in this, we have to attain to Annihilation and the love of the Essence. Without these, we cannot reach this degree of obedience. Thus we are under another obligation, which is to seek the Way of Sufism, because this Way will lead us to the state of Annihilation and the love of the Essence. Each Order differs from the other in its states of perfection; so too does each Order keep the Sunnah of the Prophet and have its own definition of what that entails. Every Order has its own way of keeping the Sunnah of the Prophet. Our Order, through its Sheikhs, requires us to keep all the commands of the Prophet and to leave all the things he prohibited. Our Sheikhs don't follow the easy ways (rukhas) but insist on keeping the difficult ways. In all their seeking, they keep in mind the verse of Qur'an which says, 'Men whom neither business nor trade will divert from the Remembrance of Allah' [24:37]." - "In the journey leading to the unveiling of the Divine Realities, the seeker moves through various stages of knowledge of and proximity to His Lord." - "The entire process [of reaching Allah] is like threading a needle. The thread seeks the eye of the needle, passes through and then proceeds down to where it began. There the two ends meet, form a knot and secure the entire thread. They form a whole; thread, eye and needle, and any material they catch is sewn into the fabric of the unity." - "It must be known to everyone that the Naqshbandi Sheikhs chose to guide their Mureeds first through the movement from Allah, travelling from the higher states to the lower. For this reason they maintain the common veils over the spiritual vision of the Mureed, removing the veil of ordinary consciousness only at the final step. All other Tariqas begin with the movement to Allah, moving from the lowest states to the highest, and removing the common veils first." 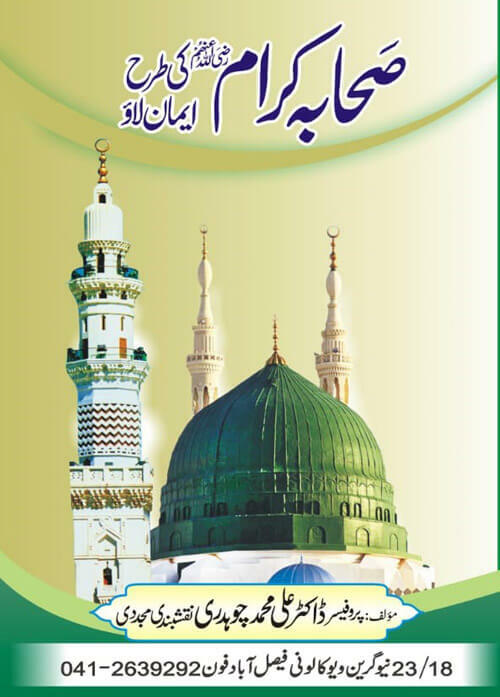 - It is mentioned in the Hadith of the Prophet (s.a.w), 'Scholars are the inheritors of the Prophets.' The knowledge of Prophets is of two kinds: knowledge of laws and knowledge of Secrets. The scholar cannot be called an inheritor if he does not inherit both knowledges. If he takes only one knowledge, he is incomplete. Thus the real inheritors are the ones who take the knowledge of the laws and the knowledge of the Secrets, and only the saints have truly received and protected this inheritance." Once the mission of the Sheikh had been accomplished, he increasingly began to prefer solitude and seclusion. One day the Sheikh stated, "It seems that my time for departure is near." He wrote to his sons, saying, "Yesterday, during the Muraqaba after the Fajr prayer, I noticed that the robe I would usually wear was not with me, and it was replaced by another." This signalled that his role would be passed down to a successor. Later, the Sheikh appointed Khwaja Mohammad Masoom as his successor, and instructed all his Khulafa and Mureeds to take Bayt at the hand of Khwaja Mohammad Masoom. 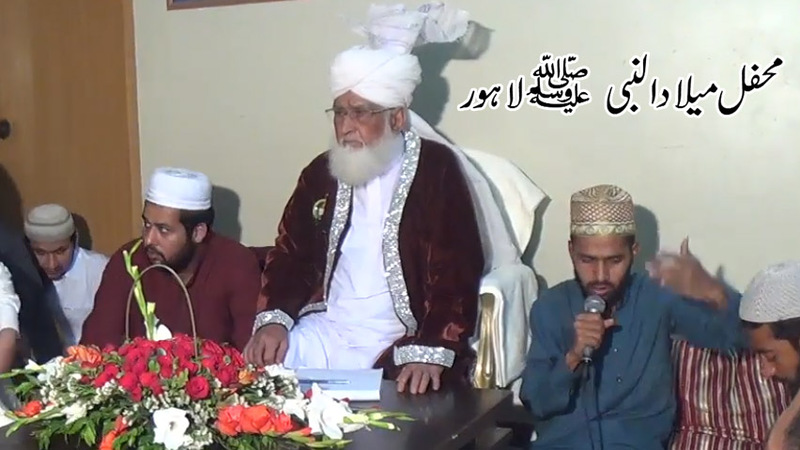 The responsibility of running the Khanqah was also passed on. 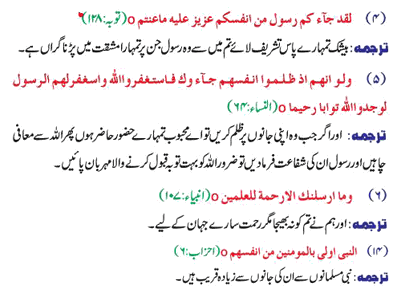 If any new people came to the Sheikh asking to be his Mureeds, the Sheikh would send them to Khwaja Mohammad Masoom. Some people related that during these days, they asked the Sheikh why he had isolated himself so much from creation. 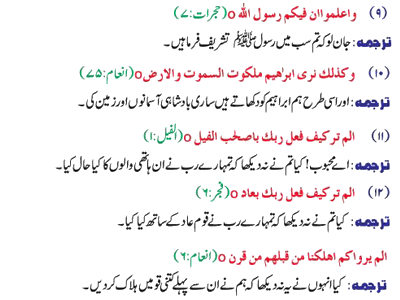 "O men of Allah! I have passed on to you everything that has been given to me by Allah and His Messenger (s.a.w). In the struggle to uphold the true Deen of Islam, I worked hard and relentlessly all my life. I was a victim of oppression and tolerated much hardship, but despite the harshest of harsh attempts by various forces to destroy the cause, I remained steadfast and never allowed myself to be complacent. Now I am to part from you, and I leave you in the Hands of the Lord of the Worlds. 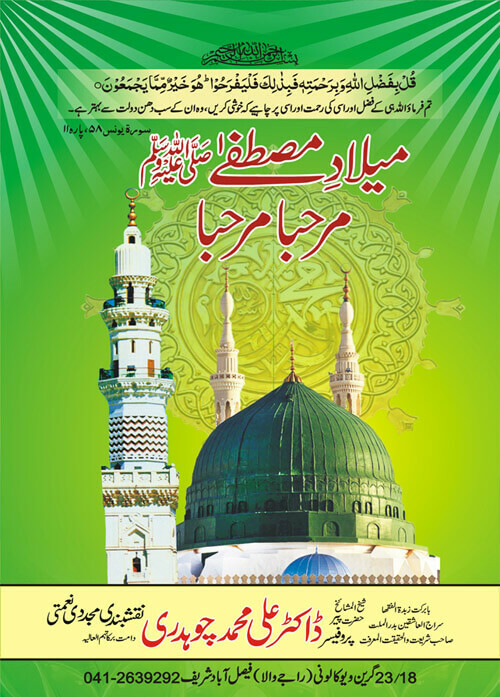 Our next meeting will be under the banner of Allah's Messenger (s.a.w) on the Day of Qiyamat." Upon hearing this, those present could not hold themselves back and began to weep uncontrollably, and all began to say, "O Imamul Awliya! There is no doubt whatsoever that you have striven relentlessly in the struggle to uphold the Shariah, and to revive the Deen of Islam. And inshAllah, we will testify to this fact on the Day of Judgement." After this the Sheikh made Dua and then proceeded from the Khanqah. After six to seven months of solitude, the Sheikh visited, for the last time, the blessed shrines of his dear father and his respected grandfather. After this, the Sheikh fell ill and did not recover, and on the 13th of Safar this illness was increased by a high fever. Despite being so ill, the Sheikh continued to pray Salah in congregation and did not reduce his habit of Zikr and Muraqaba. The illness gradually worsened and at the time of Chasht prayer, on Tuesday 28th Safar 1034 AH (10th December 1624 AD), the Sheikh left this world and was reunited with the Merciful Creator at the age of 63.